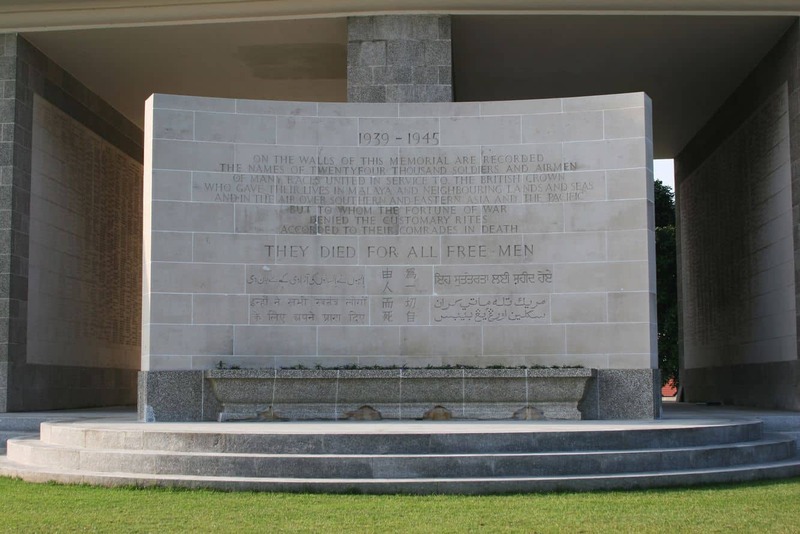 The Kranji War Memorial was built as a memorial to the men and women who lost their lives defending Malaysia and Singapore from the invading Japanese military forces during World War II. The United Kingdom, Sri Lanka, Australia, Canada, New Zealand, India and the Netherlands all stood to defend Malaysia and Singapore. Each of these nations are honoured at the Kranji War Memorial for their sacrifice. 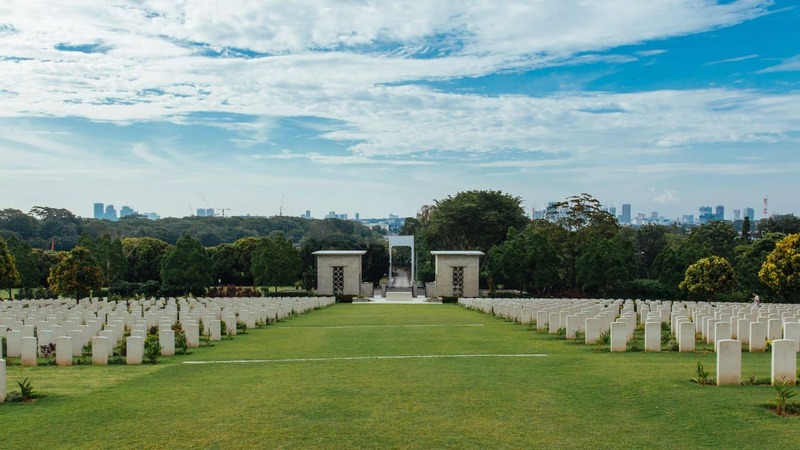 The Kranji War Memorial grounds include the War Graves, the State Cemetery, the Memorial Walls and the Military Graves. All three branches of military (Air Force, Army, and Navy) are honoured here. Each branch of the military are symbolically represented at the war memorial. The columns stand for the Army and the way in which they march in columns, the top cover placed above the columns represents the Air Force and the wings of their planes and the top pillars symbolises the submarine sail of the Navy. Over 24,000 names of service men and women who were never found or recovered are listed on all sides of the 12 columns of the war memorial. The memorial was built in a beautiful hillside setting that looks out over undeveloped land. In the distance views of Johor Bahru, Malaysia can be seen. The Woodlands Road that is the sole access point to the memorial is the exact same road that the Japanese Imperial Guards used when invading on February 9, 1942. 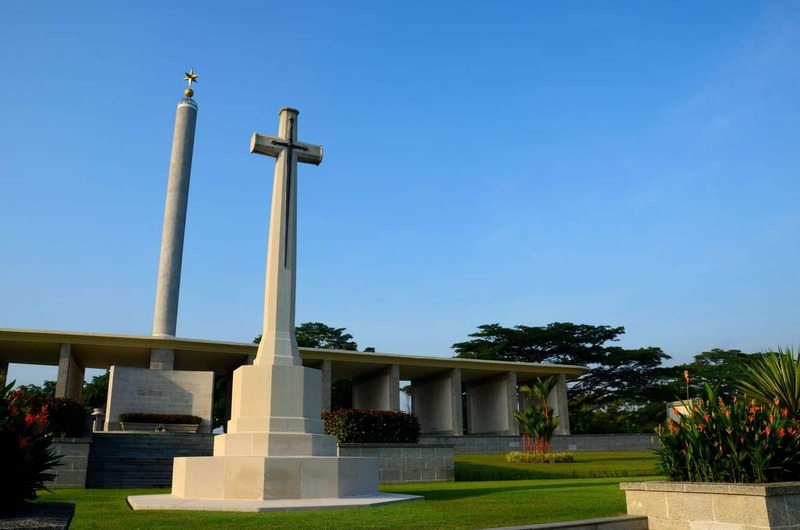 Also found on the Kranji War Memorial grounds is The War Cemetery where 4,458 allied service men and women were laid to rest. There are over 850 graves here that remain unidentified. 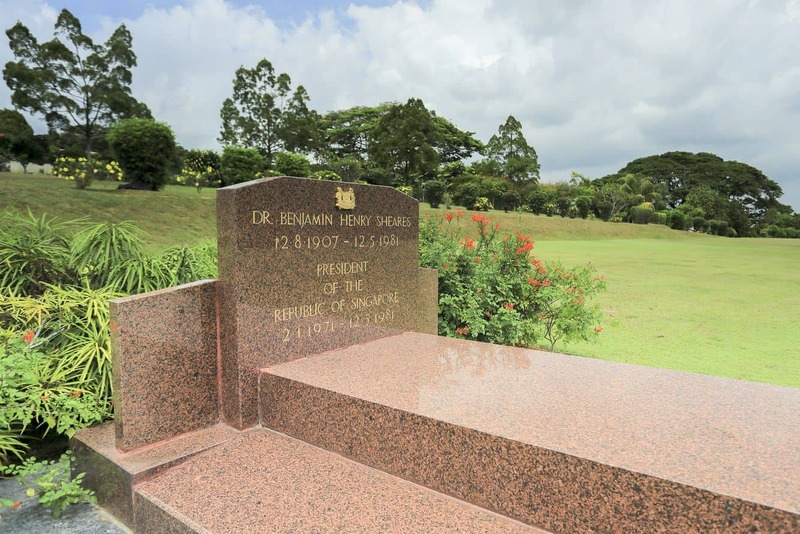 On the north point of the grounds the State Cemetery can be found where the first two Presidents of Singapore were buried. 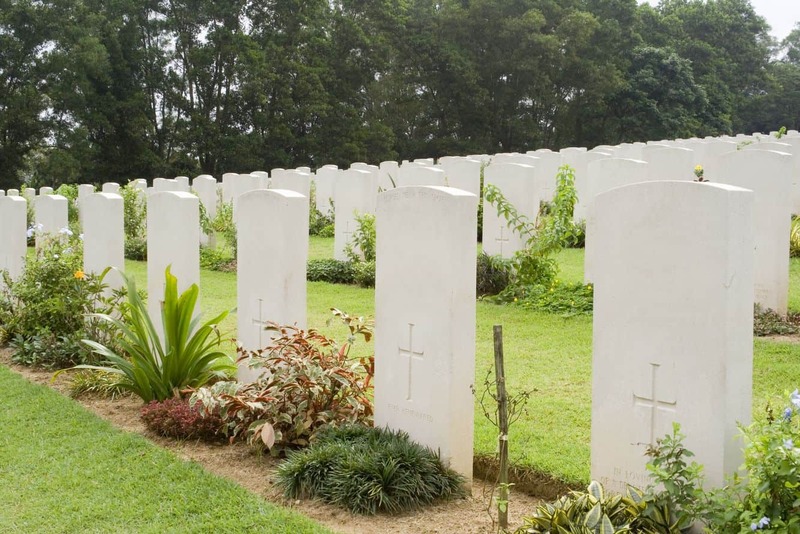 Additional historic Military Graves can be found here along with 64 burials from World War I.
Kranji War Cemetery is 22 kilometres north of the city of Singapore, on the north side of Singapore Island. The Kranji MRT terminal is a short distance from the Cemetery, approximately 10 to 15 minutes away by foot. 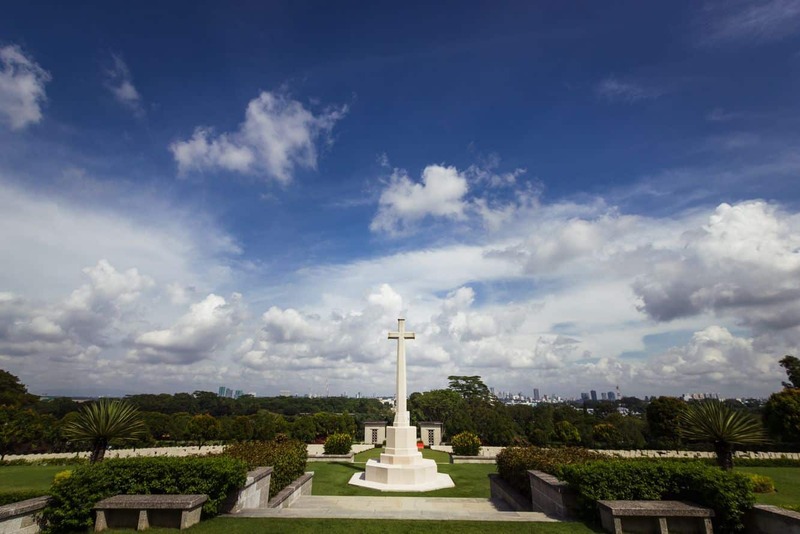 So come past the Kranji War Memorial on your next trip to Singapore and remember those who have fallen.